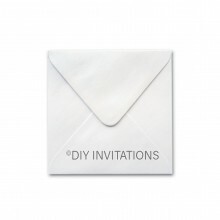 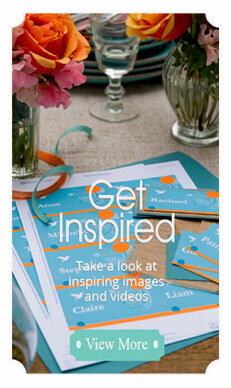 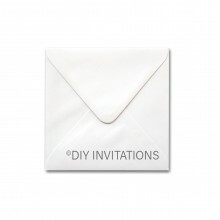 Add a complementing touch to your beautiful DIY wedding invitations with the option of using this great range of square envelopes to complete the look of your handmade wedding invitations package. 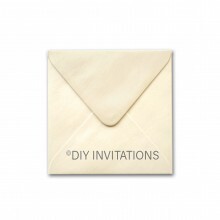 The envelopes that measure at 150x150mm, is offered with an array of finishes such as shimmer, matt, and StarDream to match the DIY invitations being used. 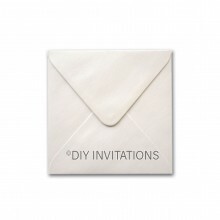 You can also ensure that the colours also complement your wedding theme with the choices of colours such as white, silver, champagne, ivory and much more for your postage requirements when sending out your beautiful wedding invitations in an elegant manner.